After numerous incidents and attacks involving firearms, the debate about guns in the United States has continued to take a front-and-center position in the headlines. Politicians and citizens continue to discuss guns in America, and how public health concerns and social situations play into gun violence. This discussion has also spilled over to concerns affecting everyday travelers as well. The Transportation Security Administration reported finding a record-breaking number of firearms in 2017, most at security checkpoints. Several countries are now warning travelers bound for the United States to be on their guard. 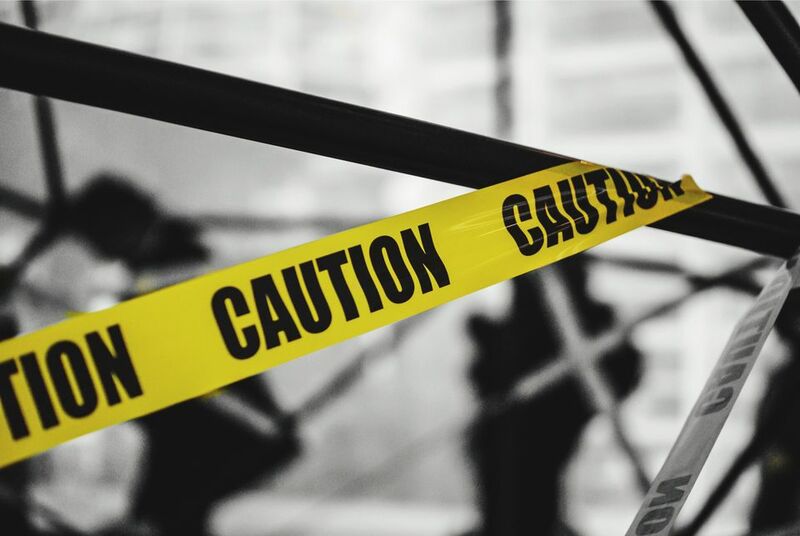 Because gun violence is a noted problem in America, visitors are asked to be aware of their surroundings, be vigilant in their activities, or even "exercise extreme caution" when interacting with local law enforcement officers. Which countries' tourists are most on guard when traveling to the United States? These five nations have issued a travel advisory to those coming to America. Because they are separated by only 181 miles, Miami and the United States is one of the most popular destinations for residents of The Bahamas. But travelers from this small island nation are being warned about the dangers of gun violence when visiting their neighbor to the northwest. The population of The Bahamas is predominantly black, which has caused many from the country to pay close attention to recent events in the United States. The nation's Ministry of Foreign Affairs issued a note over "...of the recent tensions in some American cities over shootings of young black males by police officers." Those traveling from The Bahamas to the United States are warned to be on good behavior, and not to get involved in political protests. "We wish to advise all Bahamians traveling to the US but especially to the affected cities to exercise appropriate caution generally," the Foreign Ministry writes. "In particular young males are asked to exercise extreme caution in affected cities in their interactions with the police. Do not be confrontational and cooperate." Every year, over 20 million Canadians visit the United States by airplane, train, or over land. Despite a shared border, even their foreign ministry warns Canadian tourists about the dangers of gun violence while in the United States. While pickpocketing scams are most prevalent for Canadians, the Government of Canada also warns tourists about the dangers of gun violence as well. Travelers heading across the border for a mini-holiday are warned to take care during their trip, especially when visiting impoverished areas. "The possession of firearms and the frequency of violent crime are generally more prevalent in the U.S. than in Canada," the Foreign Office writes. "Within large metropolitan areas, violent crime more commonly occurs in economically disadvantaged neighborhoods, particularly from dusk to dawn, and often involves alcohol and/or drug consumption." There is good news for Canadian travelers heading to the United States: the Foreign Office acknowledges that while mass shooting activities are met with great publicity, they are statistically uncommon. Although homicide is still a threat to travelers, there is an overall low probability of being targeted during a mass shooting. In 2015, over two million Germans visited the United States for both business and pleasure. Each of those tourists was sent off with multiple warnings about the use of guns in crimes throughout the United States. German visitors to America are warned that violent crime is much more common in the United States than in Germany, and firearms are much more accessible. Tourists are urged to make copies of their important documents and store them in a safe place while abroad. In addition, travelers are warned to leave valuables at home, as pickpockets, muggings, and theft from vehicles can happen anywhere and at any time. "In the US, it is relatively easy to obtain possession of weapons," the German Foreign Office warns their tourists. "Should you be the victim of an armed robbery, do not try to fight back!" New Zealand's Warn of "Some Risk"
Although the United States is not one of the top destinations for those from New Zealand, thousands come from this island every year. However, between mass shooting incidents and political unrest, visitors from New Zealand are warned they are at "some risk" while in the United States. "There is a higher incidence of violent crime and firearm possession than in New Zealand," the New Zealand Safe Travel website cautions. "However, crime rates vary considerably across cities and suburbs." Travelers from New Zealand are warned to exercise caution when traveling to the United States. In particular, visitors are warned to stay alert in high-traffic areas, including malls, marketplaces, tourist destinations, public events, and public transportation systems. In addition, visitors are warned to stay away from protests and demonstrations, as violence is apt to break out at any moment. For decades, the countries of the Arabian peninsula have experienced an uneasy relationship with Americans. After an event involving police and guns at an Ohio hotel, the foreign ministry of the United Arab Emirates has issued a warning for those travelers who are going to the United States. Earlier this month, the U.A.E. Embassy to Washington issued a "special alert" to travelers coming to the United States, as well as those already in the country. The alert warned travelers to avoid attending "ongoing or planned demonstrations and protests in cities around the United States," as well as to be aware in large crowds and tourist destinations. In addition, Emiratis were allegedly cautioned against wearing traditional clothing after a tourist was arrested in Avon, Ohio in an incident. Although the medical tourist was released and treated for a medical condition, the U.A.E. Embassy to Washington denounced the event, calling it unwarranted. "In the context of the greater violence across the world over the last week, the incident in Avon may seem unimportant in comparison," UAE Ambassador Yousef Al Otaiba said in a statement. "But tolerance and understanding should never be a victim of bias and bigotry anywhere, particularly between Emiratis and Americans." Although it may seem like a part of everyday life for many Americans, the threats of weapons and gun violence are serious concerns for visitors to the United States. These five countries are making their warnings clear: travelers should consider all of their options carefully, avoid large gatherings, and exercise caution while visiting the United States of America. Does America pose a threat to travelers with gun violence? Is a Terror Alert Good Enough for Trip Cancellation? Which Countries Have the Most Crime Per Population?